New Locations ~ New Service Models for Humanitarian Day 2017! “We are People Helping People” This year we are focusing on the volunteer and our family’s well-being. Please register and Join Us ~ Share with a Friend! Every year we are excited to announce Humanitarian Day (HDAY,) the peak of this excitement is for Ramadan ~ 30 days of devotion and fasting. It is the specific reason why HDAY was established during this month. We convert charity into health fairs for the homeless. The last 18 years the ILM Foundation and its network the Coalition to Preserve Human Dignity (CPHD) have practices the act of Neighborly Needs, by providing social and direct services. 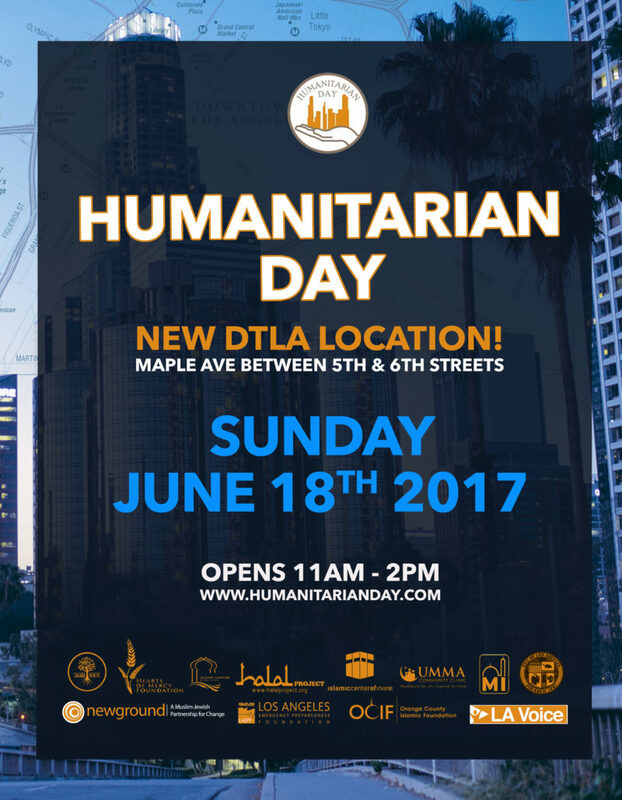 DTLA 18th Annual Humanitarian Day Sunday June 18, 2017 NEW LOCATION TBA!